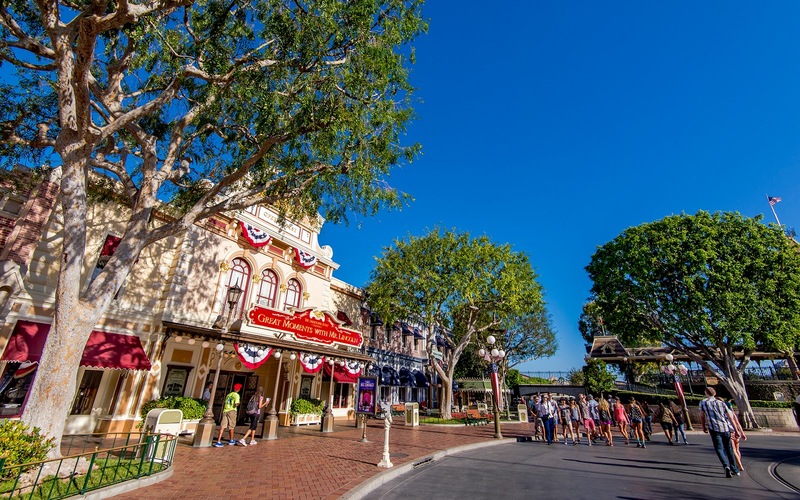 A cloudless blue sky day in Main Street is one of my earliest memories of Disneyland. I recall eagerly wandering through this entrance to the Happiest Place on Earth as a child, hand in parents' hands, gazing up at the beautiful facades with awe. It was such a nostalgic atmosphere, even then, and it was a beautiful, sunny day. At such a young age, it was easy to connect to the emotional resonance of the park. But even now, many many years later, I will still come upon scenes that strike up those fond memories and remind me just why I love coming again and again to this happy place. A beautiful day in front of the Main Street Opera House.